At Sundance, Jordan Peele explains how Obama's election inspired his horror movie, Get Out. 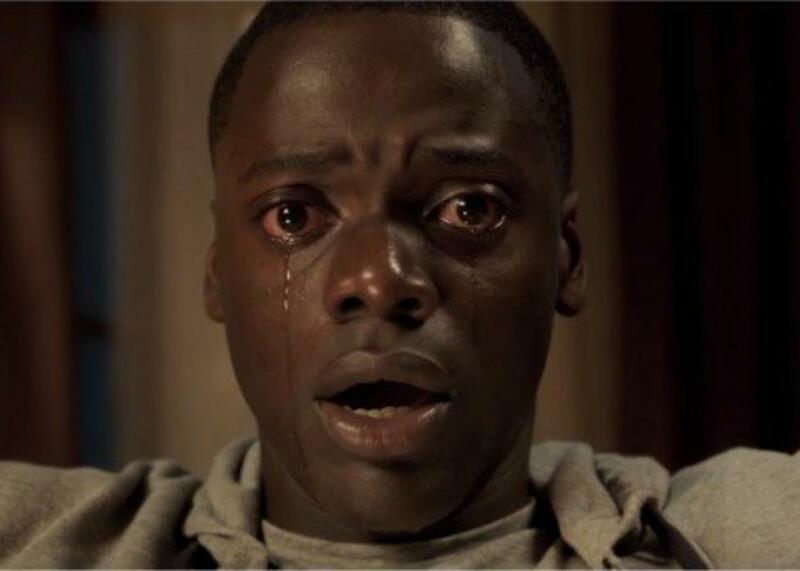 By the time Get Out premiered at Sundance Monday night, the “secret midnight screening” was anything but: Rumors had been circulating for days that the horror movie, which marks the directorial debut of Key & Peele’s Jordan Peele, was the festival’s enticing TBA, and Variety confirmed those rumors hours before the show. But even knowing what movie they’d lined up in the waist-deep snow for, the audience at the Park City Library was in for a surprise. Not only was Peele’s debut funny and sharp on the subject of race in the U.S., it’s also straight-up terrifying, with some audacious twists that turn what seems at first like a tidy Twilight Zone allegory into a deranged nightmare. Peele conceded that Get Out is “coming out in a very different America” than the one in which he conceived and shot it, an America where genteel racism is losing ground to open displays of white supremacy. (It is scheduled to open in theaters on Feb. 24.) But that only makes the film more effective, if not perhaps in the way Peele initially envisioned it. Although the movie was shot in Alabama, the characters don’t speak with drawls, and the parents’ mansion is more evocative of Rhode Island than the antebellum South. His target, Peele explains, wasn’t red state racists, but “the liberal elite, who tend to believe that they’re—we’re—above this.” Liberals have learned from Trump’s election—or if they haven’t, they’d better—that racism isn’t solely the province of gap-toothed cretins who live in those other states, and assuming it is only allows its more insidious forms to flourish like the black mold in the Get Out family’s basement.